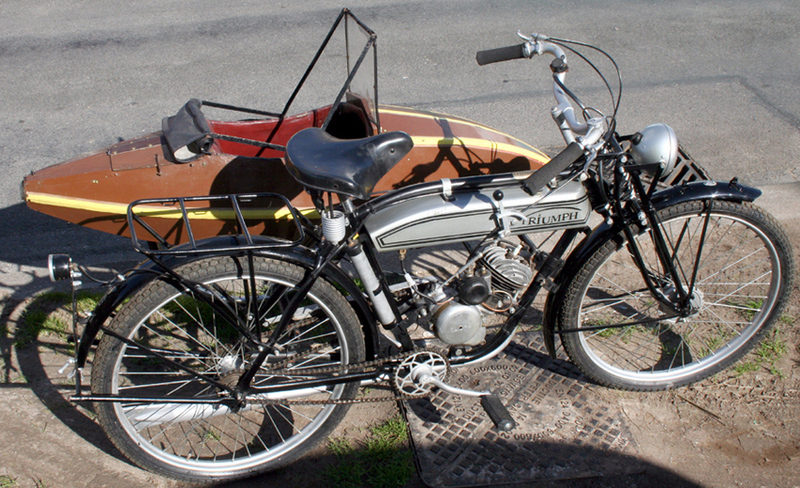 Bettmann had been trading between Germany and England since the first days of his company – as Bettmann & Co – selling German sewing machines in England and English bicycles in Germany. 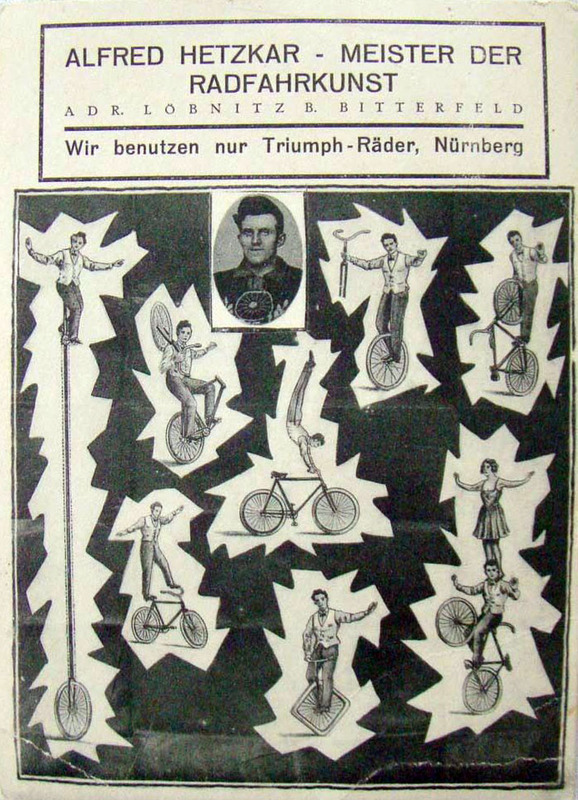 So it made sense for him to set up a cycle factory in Germany too. 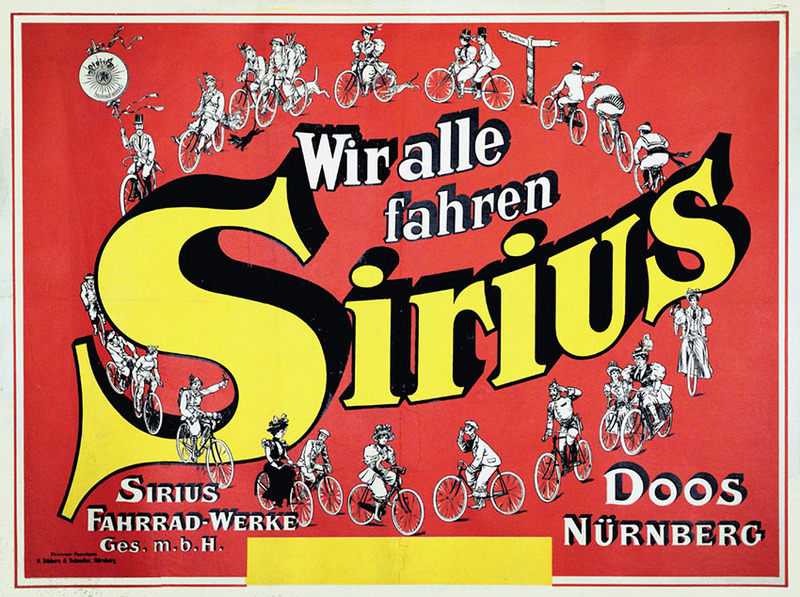 Nurnberg had become a main centre for cycle production, with both Hercules and Victoria opening a factory in 1886, followed by Express. 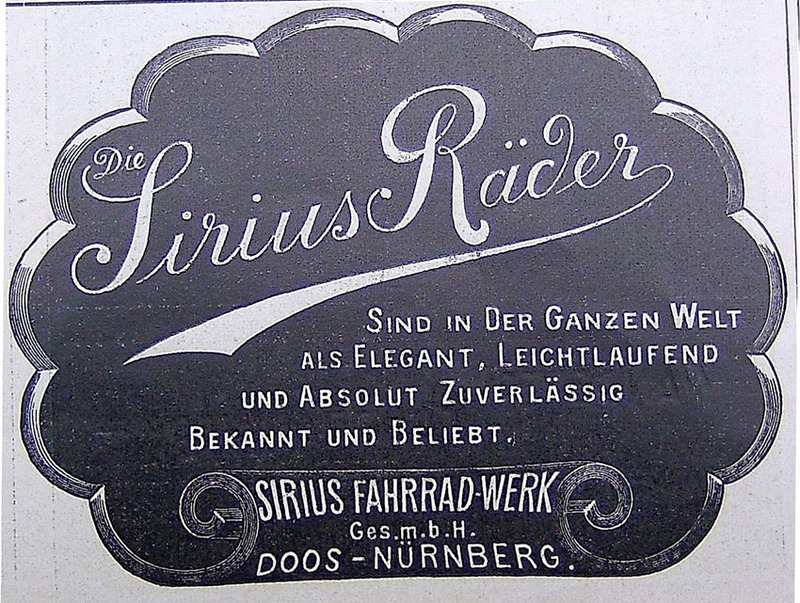 In 1888, the British company Premier built a second factory in Nurnberg. 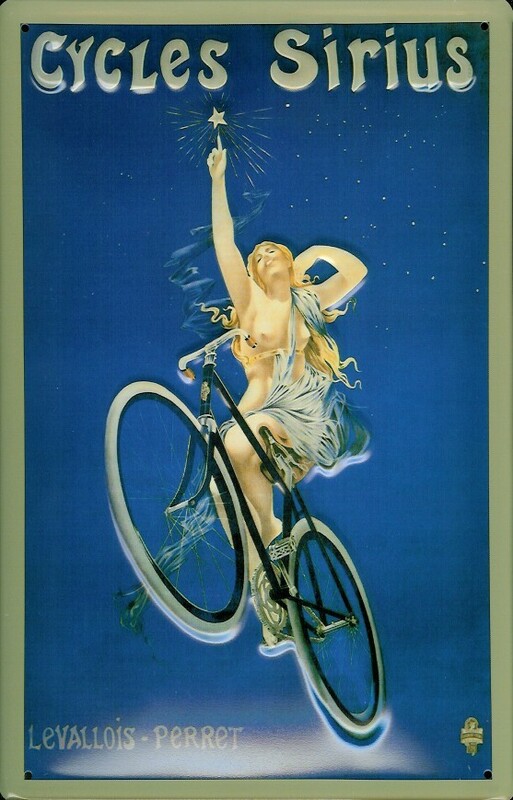 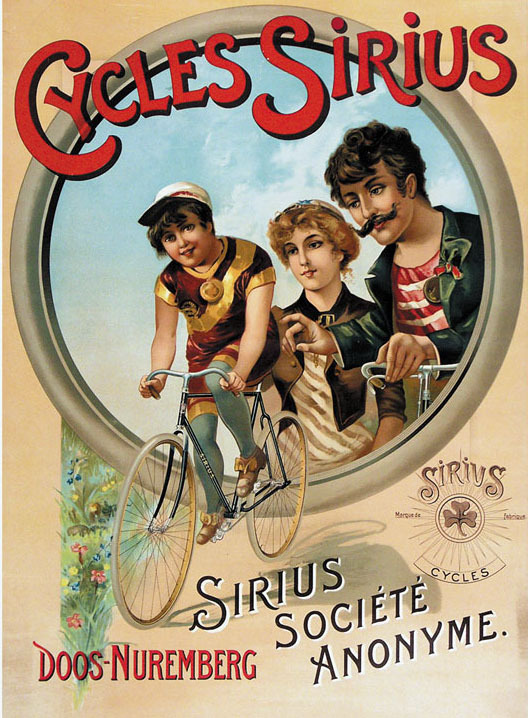 In 1894 Mars AG turned from manufacturing stoves to bicycles. 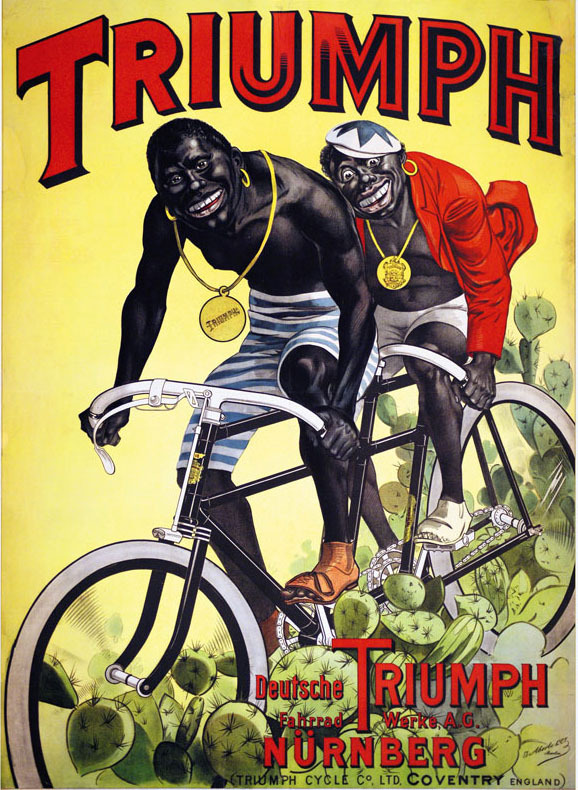 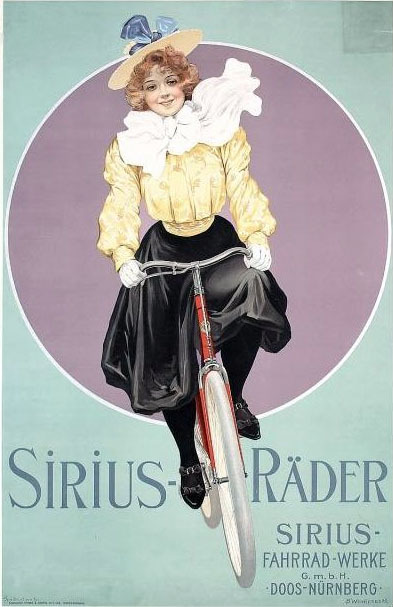 Deutsche Triumph Fahrrad-werke was established in 1896 when Triumph bought the Sirius company and started production at their factory. 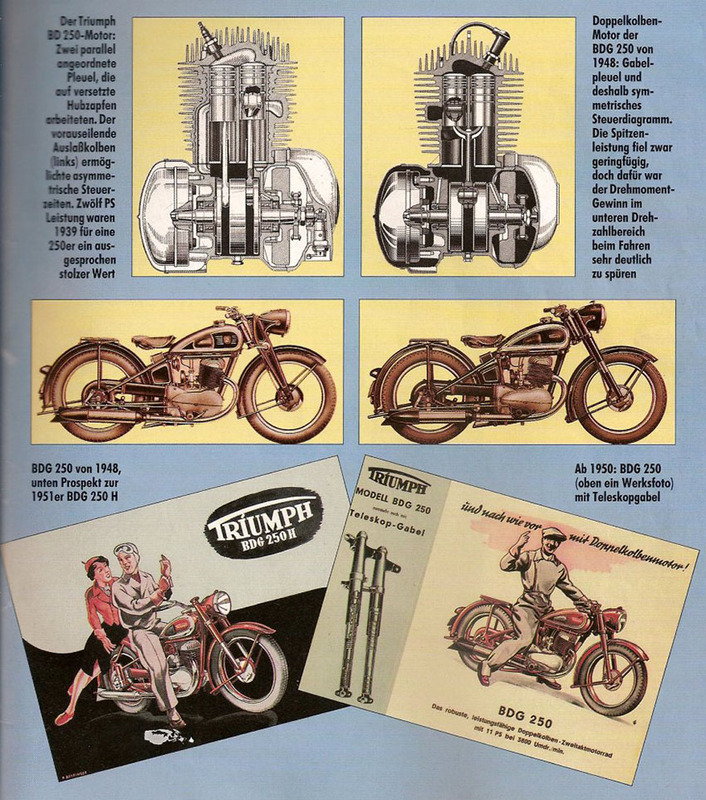 The German factory started making motorcycles a year later than in England. 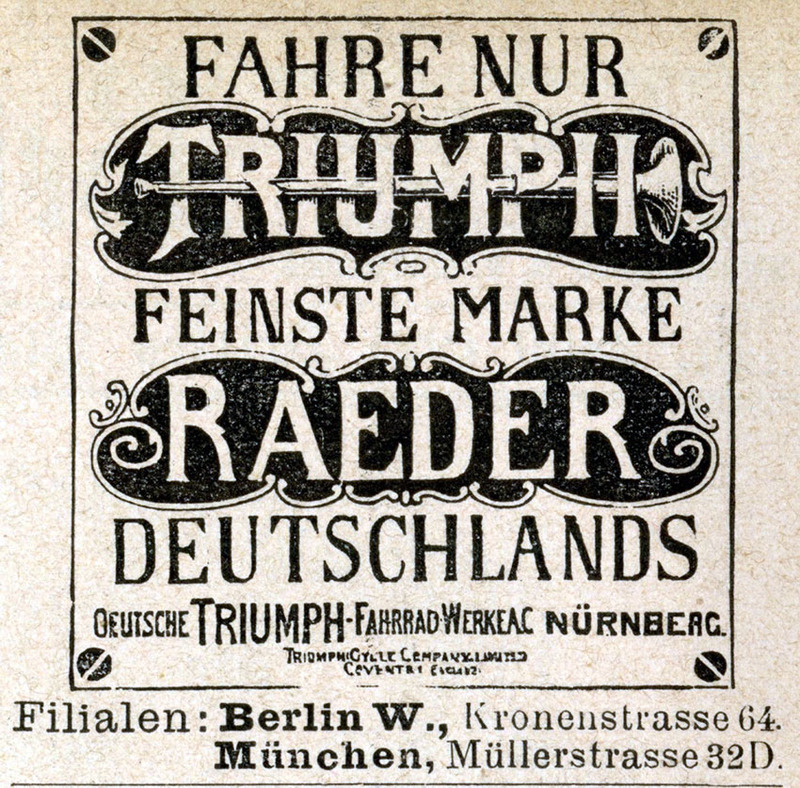 With increasing possibility of war between the two countries, the German and British businesses were separated in 1913. 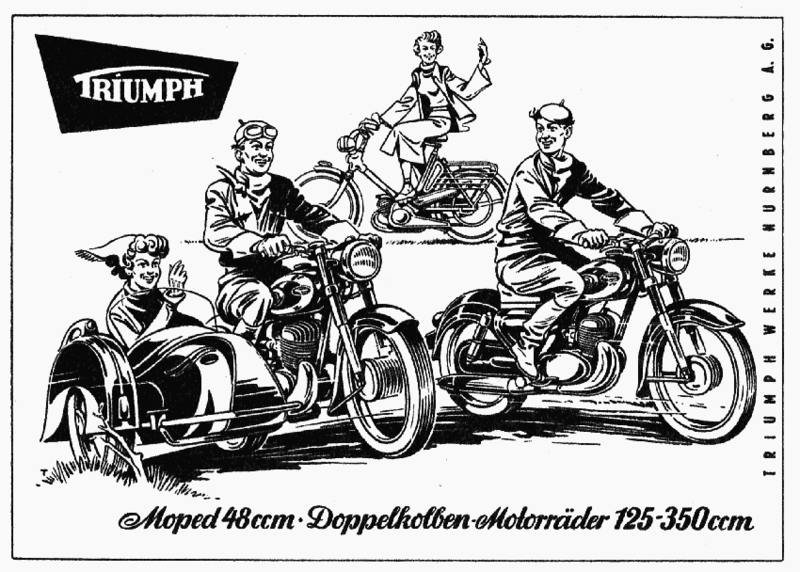 The original logo for the German Triumph company followed the lines of the British company, with a line through the Triumph name (above). 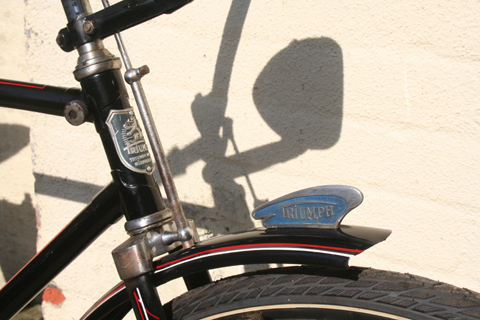 The British Triumph logo then adopted a curved line under the Triumph name (above), and the German Triumph logo was subsequently transformed to the Triumph name with a curved line over the top (below). 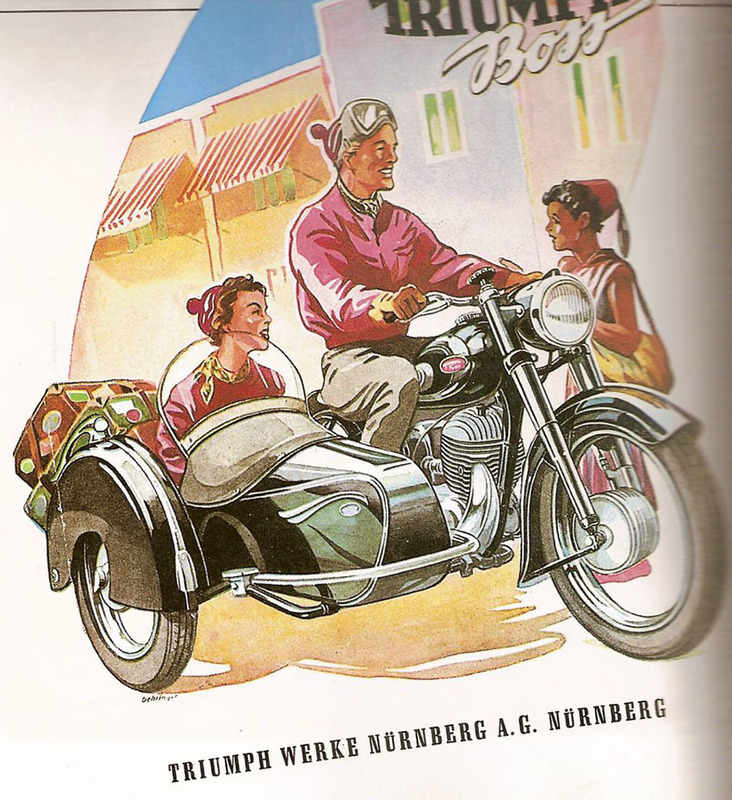 For motorcycles, the German company used the Triumph name for the home market, but the name TWN for exports. 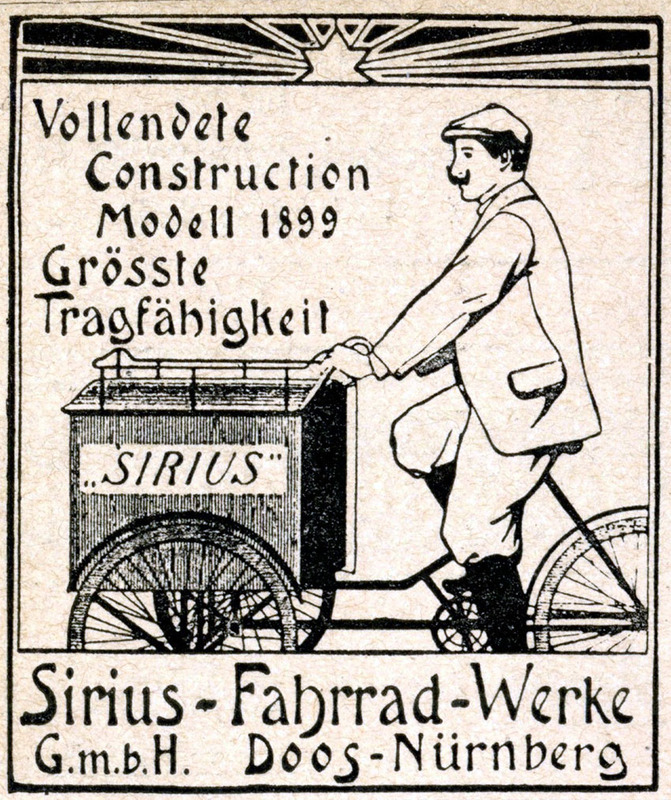 Sirius was bought by Bettmann in 1896 in order for Triumph to gain a factory in Nurnberg. 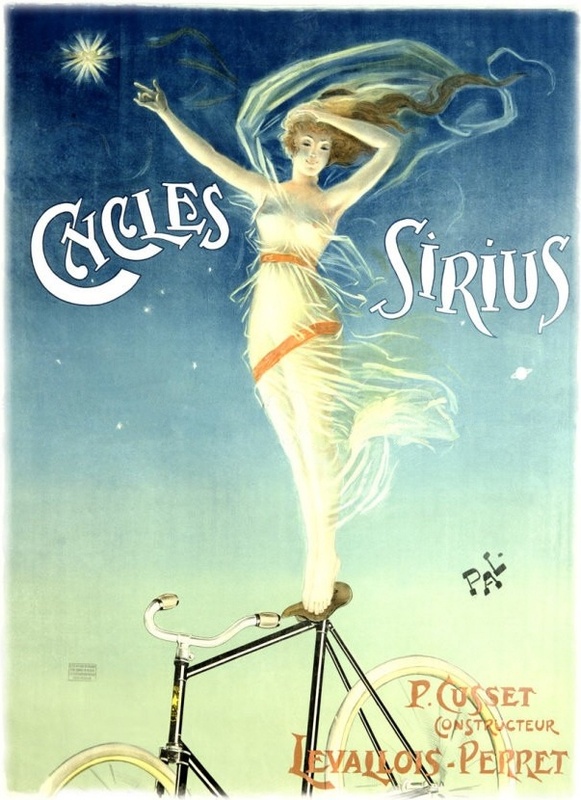 The company continued to produce Sirius bicycles. 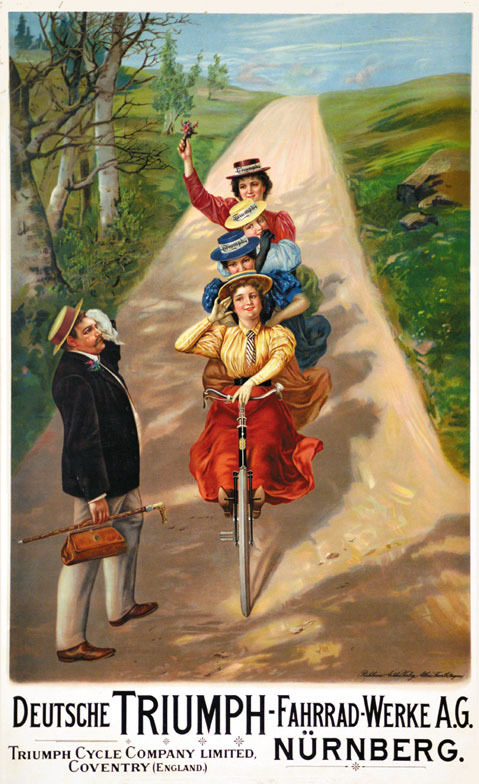 TWN’s post-WW2 adverts seem to have a thing about female riders waving, and also odd hats.